About: In 1838 the Poor Law was brought in to set up a system of administration for providing assistance to the many destitute people in Ireland. Over a hundred and sixty Poor Law districts or unions were established. A tax was levied on ratepayers to fund this relief measure thus making it a forerunner of our modern social welfare system. This book chapter deals with how the system operated within County Carlow and parts of West Wicklow. Contents: Social conditions in pre-Famine Carlow –Workhouses: Administration – Boards of guardians and staff – Inmates – Women inmates – Nightlodgers – Life in the workhouse — Work, education and training – Religion — The Famine – Diet — Number of inmates – Outdoor relief – Workhouse administration during the Famine – Famine-related illness in the Carlow workhouses – Emigration – Outdoor relief and population trends – Health care in the post-Famine period – Child care – The legacy of the Poor Law – Acknowledgements — References. 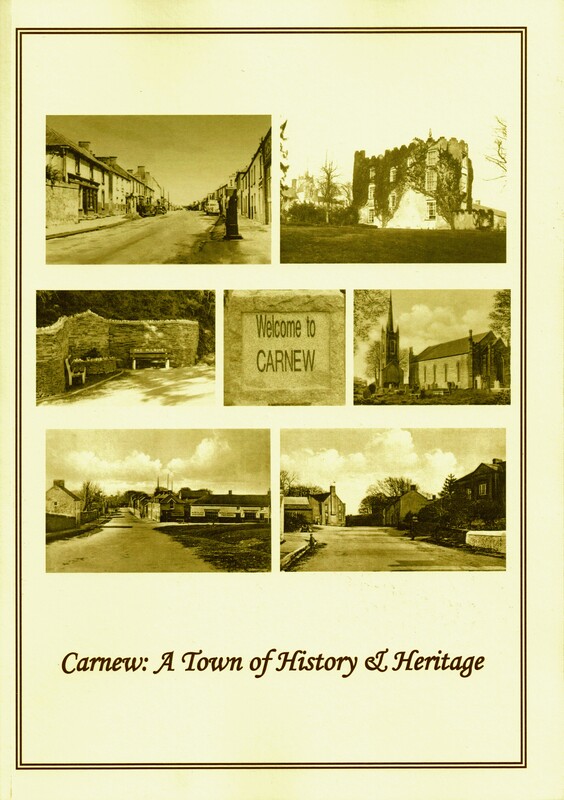 WW Connection #1: The Poor Law Unions of Baltinglass and Shillelagh were responsible for parts of Carlow and much information about them is included in this article. Extra #1: Includes 31 tables of data. Creator / Author: Sean Byrne (compiler and editor) and various contributors. Publisher / Place of Publication: Rathcoyle National School / Rathcoyle, Rathdangan, Co. Wicklow. About: A profusely illustrated commemorative book that was issued to mark the diamond jubilee of the ‘New School’ at Rathcoyle. This milestone was used as a focal point to highlight the history of education in the area from the time of the hedge schools to 2011. The book was published locally in a special limited edition of 500 copies and was printed by the firm of one of the past pupils who ‘crossed the Derreen’ in 1961. Contents: Introduction / Sean Byrne – Acknowledgements / Sean Byrne – Foreword / Triona Byrne, Principal — A message from the Chairman of the Board of Management / Jim Whelan — Rathcoyle National School Boards of Management — Rathcoyle National School Today and Tomorrow / Triona Byrne — The Confraternity of Christian Doctrine — The Hedge Schools / Pay Schools: The School Buildings — Subjects Taught — Extracts from Diocesan Report 1824: Rathdangan; Ballinguile; Carricknamiel — The Established Church Schools: Killamoate; Tourboy — Moses Walsh’s Schoolhouse — Rathcoyle National Schools (The old school) — The National School System — The Famine and its aftermath — Payment by results — The ‘Masters’ Byrne — Drury’s Height to Kate’s Cottage by former pupil of the 1950’s — Hugh and Rose Byrne — The Primary Certificate — Christian Doctrine — Celebrating the Golden Jubilee of Rathcoyle School 12.06.2011 / Peadar C. Ó’Cuilinn — Early Days Gallery — The New School May 1961 — 1960s Gallery — Askinagap’s National School Amalgamation with Rathcoyle School — Brian Graham — My School Memories / Catherine Coogan (neé Byrne) — The 1960s: recollection of schooldays in Rathcoyle / Simon Byrne — The Rathcoyle Tea Bucket / Mary Kelly (neé Lawler) 1961-1968 — 1970s Gallery — The 1970s: Rathcoyle school memories / Ann Whelan — From Talbotstown to Rathcoyle / Brian Graham — The Lee Cup / Brian Graham — The 1980s: Memories / Nicolette Van der Wel and Teresa Byrne — 1980s Gallery — Memories of Rathcoyle National School / Niall Harmon 1982-1990 – The 1990s: My Memories of Rathcoyle National School / Sean O’Neill — 1990s Gallery – The 1990s: Rathcoyle National School / Ciara Ní Bhroin – Retirement / Brian Graham — The 2000s: Rathcoyle National School / Shane O’Toole — My time at Rathcoyle National School / Bríd Lambert — 2000s Gallery — Caretakers / Board of Management / Chaplain — Teaching Staff Rathcoyle National School 1961-2011 — Teachers 1961-2011 Gallery — The Future. Extra #1: Includes several photograph galleries showing school classes, school activities and school personnel over the years. Full title: The Curse of Reason: the Great Irish Famine. Publisher / Place of Publication: Gill & Macmillan / Hume Avenue, Park West, Dublin 12. 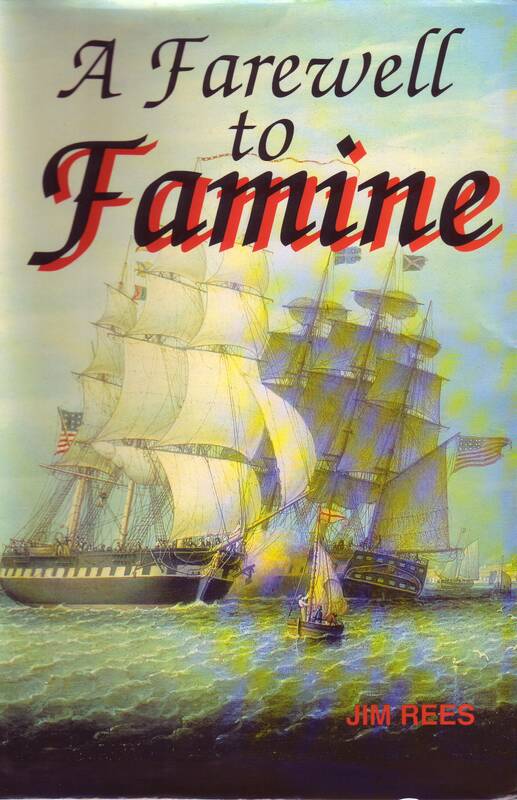 About: A history of the Irish Famine that looks at the social, economic and political dimensions of the event. It achieves this via the mechanism of examining the contemporary written testimonies of four important figures: Archbishop John MacHale, John Mitchel, Elizabeth Smith and Charles E. Trevelyan. Chapters: Preface — Acknowledgements — Prologue: the land of the dead — [Part I. Before the Famine] Encounters — Land and people — Politics and power — [Part II. That Coming Storm] Spectre of famine — Peel’s brimstone — [Part III. Into the Abyss] A starving nation — The fearful reality — Property and poverty — [Part IV. Legacies] Victoria’s subjects — Exiles — Epilogue: the death of Martin Collins — Notes — Bibliographical Note — References — Index. WW Connection #1: Elizabeth Smith lived in Baltyboys House in West Wicklow. Her observations on the Famine relate to this locality. Extra #1: includes photographs of Elizabeth Smith and her Scottish birthplace and residence. 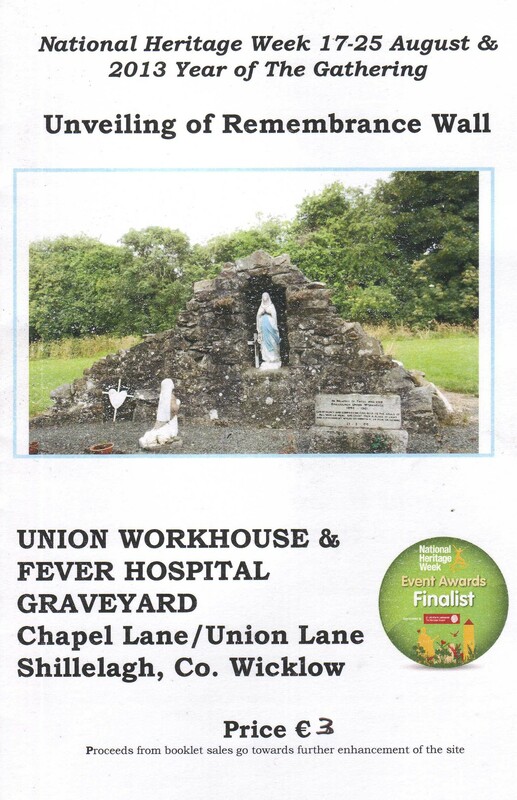 Extra #4: The paperback edition was published in 2014, under the title ‘The Great Irish Famine: a history in four lives’ (ID number 9780717160105). Publisher / Place of Publication: Arklow Enterprise Centre / North Quay, Arklow, Co. Wicklow. About: In the mid-nineteenth century, the Bishop of Little Rock wanted to set up an Irish Catholic colony in Arkansas. This was during the Irish Famine Period, and the people who set out from South Wicklow and North Wexford were not necessarily fleeing the Famine. The group were led by Father Thomas Hore and this book charts their none-too-smooth progress as the original grouping of around 1,000 splintered up and ended up in various different locations in the USA. Contents: Lists of sponsors — Prologue — The shaping of Thomas Hore — Coolattin Estate — Disaster — Bishop Byrne of Arkansas — The Melleray Connection — Farewell to famine — Liverpool – the emigrants’ limbo — Water, water everywhere… — New Orleans to Little Rock — Fort Smith — Plan B — Conclusion — Appendix 1: The Refugio Connection — Appendix 2: Passengers who travelled on the ‘Ticonderoga’, ‘Loodianah’ and the ‘Chasca’ — Chronology — Notes — Bibliography — List of subscribers. WW Connection #1: Many of the emigrants hailed from South and South-West Wicklow. Extra #1: includes photographs, illustrations and maps. Extra #2: includes the names of 847 people who emigrated.